30 schools have participated for the Inter School Biology Quiz program organized by Institute of Biology and Young Biologists Association. The winners of the final round were CWW Kanangara MMV, Matugama. 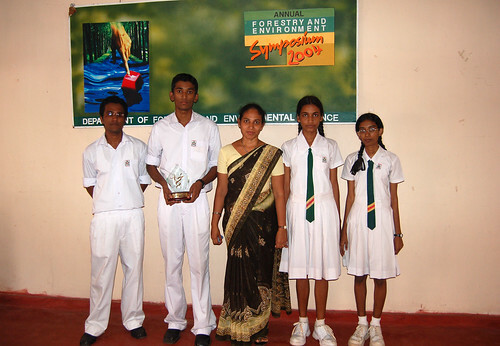 Quarter finals of the quiz competition were telecasted on Swarnawahini starting from Friday 26th October 2007 from 4 – 5 PM. The trophy and certificates to the winners have been awarded at the AGM.